How do I get to Summit Mountain Series? 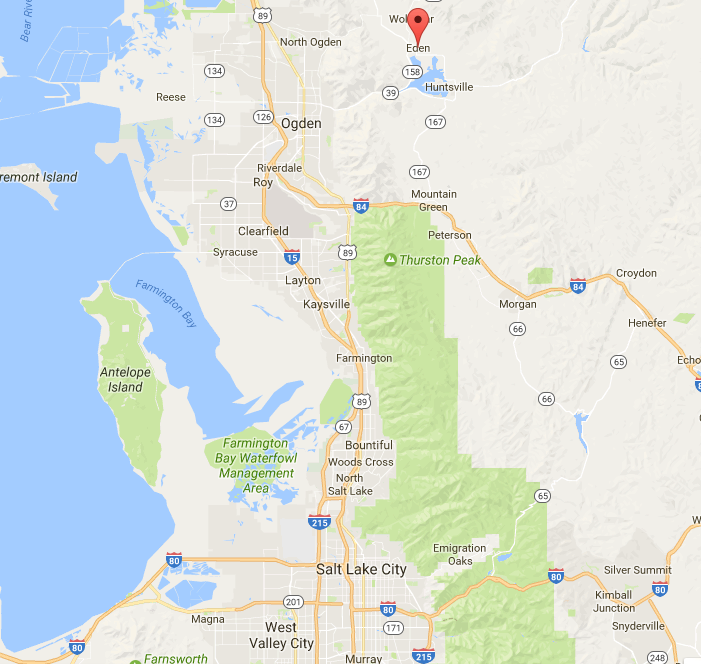 All Summit Mountain Series events are hosted in Eden, Utah -- a small valley located 55 miles north of Salt Lake City International Airport. The Summit Powder Mountain campus is generally more spread out, therefore, renting a car will provide you with more flexibility in terms of getting around. During the winter season, we strongly advise a 4-wheel drive vehicle. However, if you prefer not to drive, Summit does offer a transportation program to all event spaces that picks up and drops off attendees in a central location. Head south on Terminal Dr. and take I-80E one mile to 215-N for 6 miles to I- 15N towards Ogden. Slight right onto US-89 N (signs for I-84 E/So. Ogden). Merge onto I-84 E via the ramp to Morgan/Evanston. Take exit 92 for UT-167 toward Mountain Green/Huntsville. Turn left onto UT-167 N/N 6300 W and continue to follow UT-167 N.
Turn left onto UT-167 N/Trappers Loop Rd Continue to follow UT-167 N.
Turn right onto UT-39 E/UT-39 Scenic E/E 600 S/Ogden Canyon Continue to follow UT-39 E/UT-39 Scenic E.
Continue onto N 7800 E/State Route 166 Continue to follow State Route 166. Turn right onto N 5500 E/State Route 166. N 5500 E turns slightly left and becomes UT-158/State Route 158. Turn right onto UT-158 N/5100 E and make a right at the 4-way stop sign onto Wolf Creek Drive. Make your first right just past Moose Hollow Dr. into 3632 N. Wolf Creek Drive, Eden UT 84310. You can hop in an Uber from the SLC Airport to Eden. Please keep in mind that it is difficult to access an UBER on your return to the airport, so a shuttle option will be your best option.